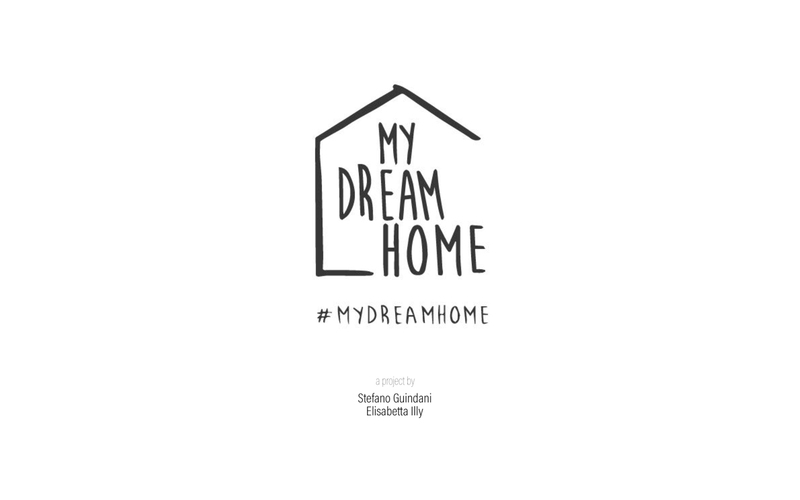 My Dream Home at Fuorisalone 2018: Elisabetta Illy and Stefano Guindani’s photography exhibit on the dreams and reality of haitian children. The Exhibit will be hosted in the setting of “INTERNI House in Motion” event, in a Piero Lissoni installation. Elisabetta Illy and Stefano Guindani, two exceptional photographers guided by humanitarian and social reportage, present MY DREAM HOME, an exhibit that will open to the public during the upcoming FuoriSalone, hosted in the “INTERNI House in Motion” event at the Cortile d’Onore of the Università Statale in Milan, April 16th -28th. 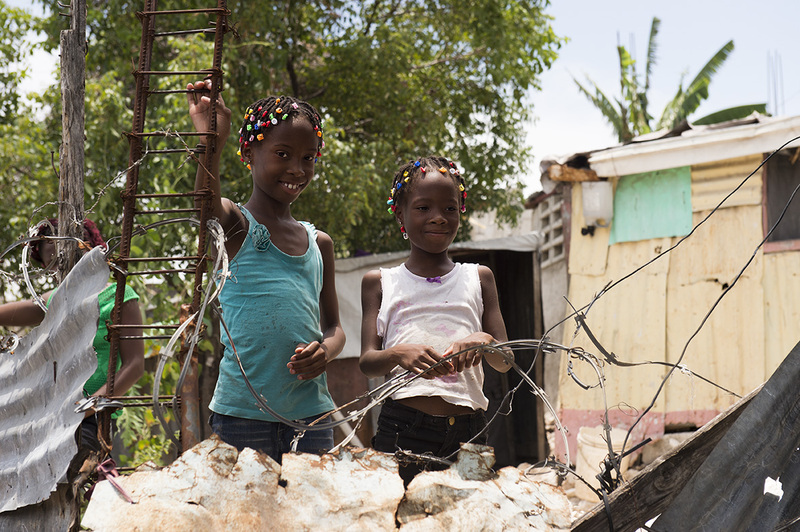 The photos, taken during a reportage in Haiti, bring the dreams and reality of Haitian children together through a visual itinerary with a strong emotional impact: the images that portray the kids by their houses are displayed along drawings of their “dream homes”. 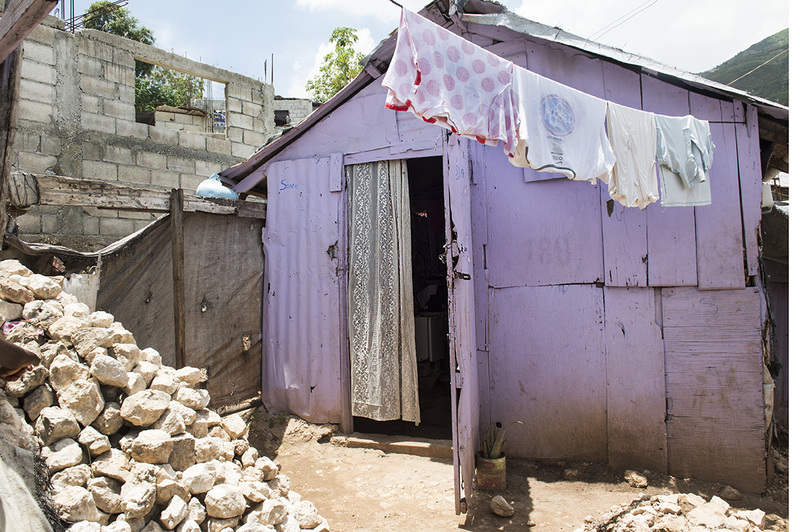 The dream of any child of Haiti living in the poor slum of Cité Soleil, is mainly to HAVE A HOME. The exhibit is a fascinating tale between real and ideal worlds, that guides the visitors through the journey of Elisabetta and Stefano in Haiti in 2017, in collaboration with Fondazione Francesca Rava N.P.H. Italia Onlus. The mission is to bring awareness on the dramatic situation in the Country and aims to contribute concretely to the building of homes in Cité Soleil, the largest slum of the Western hemisphere where 300,000 people live among metal sheds and garbage. MY DREAM HOME will be set in an installation designed by architect Piero Lissoni/Lissoni Associati, in collaboration with Dmeco Engineering, Living division, to interpret the theme of the event “House in Motion” organized by INTERNI magazine. Lissoni’s installation showcases the assembly of twelve containers stacked as a vertical sculpture, suggesting an abstract concept of a residence, using the intense colors of Haitian houses. The three containers at the base will host the photo exhibit, the children drawings, and a project of a sustainable, affordable and versatile home unit, designed with the needs of a Haitian family in mind. The displayed images will be available to the public and the proceeds will be donated entirely to Fondazione Francesca Rava NPH Italia Onlus for the building of homes in Haiti as part of the Fors Lakay project. 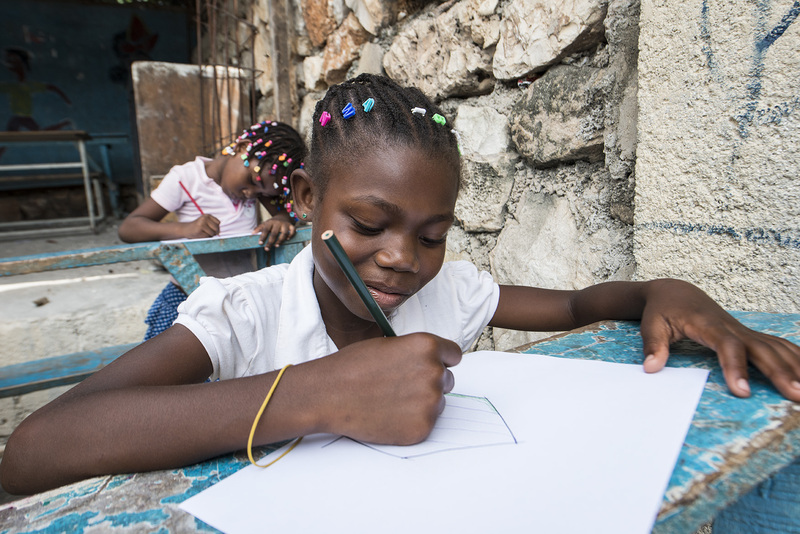 The foundation helps children in need in Italy and the world, and has operated in Haiti for the past 30 years with education projects, children shelters, medical care, rebuilding and sustainability.